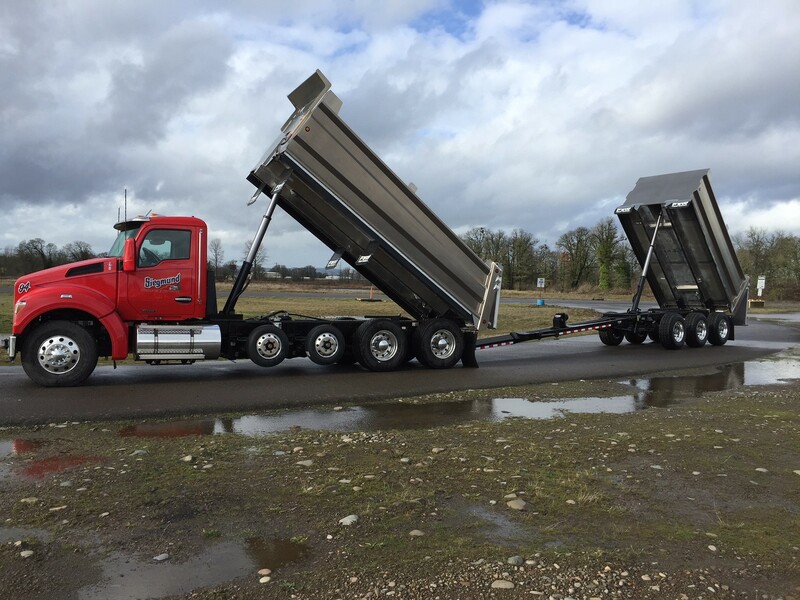 Siegmund Excavation's new ultra-lightweight aluminum trucks improve efficiency. Having the right tools for the job is key for any business to reach its highest productivity levels. At Siegmund Excavation & Construction that means finding equipment that will improve efficiency while keeping costs down. With our latest purchase of two, ultra-lightweight Kenworth trucks with aluminum truck/trailer equipment, we’re improving the way we do business and our employees are noticing the benefits of a safe, comfortable ride. Along with our partner, Allied Rock, LLC., we make it a priority to provide the best service for our customers and a safe working environment for our employees. 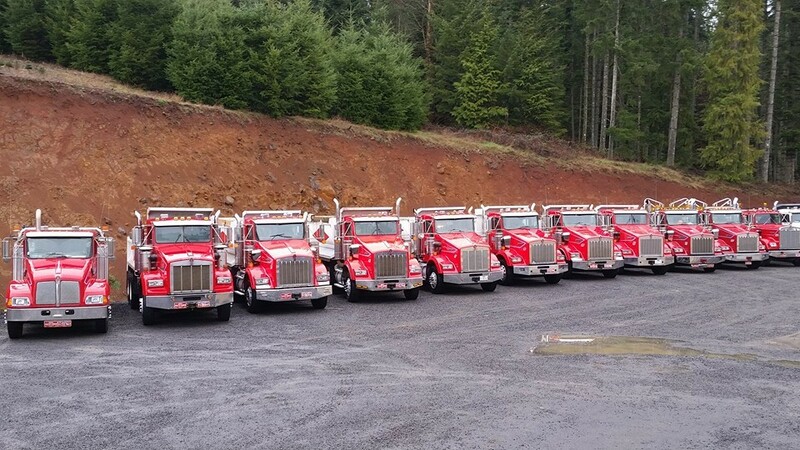 These trucks further that commitment with an increased payload capacity that can carry more aggregate safely throughout the Pacific NW while operating within legal weight limits. Through the addition of modern technologies, like high-strength aluminum bodies and a drivetrain built to haul a net payload of 36.5 tons, our trucks are designed to increase efficiency. 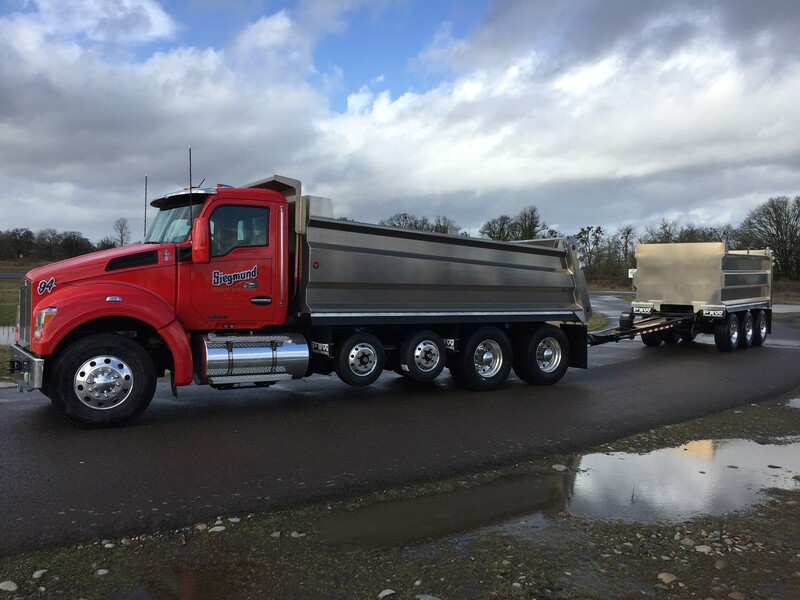 The trucks, purchased through Papé Kenworth in Portland, Ore., have custom aluminum bodies built by Pioneer Truckweld of Turner, Ore. They are Kenworth T-880 five-axle trucks with three-axle pups. Look for the signature Siegmund Excavation pinstriping added by Comeau Lettering and Pinstriping in Vancouver, Wash. when you see our new trucks coming down the road. Siegmund Excavation and Construction is committed to continually improving our business by investing in the best equipment found on the market. 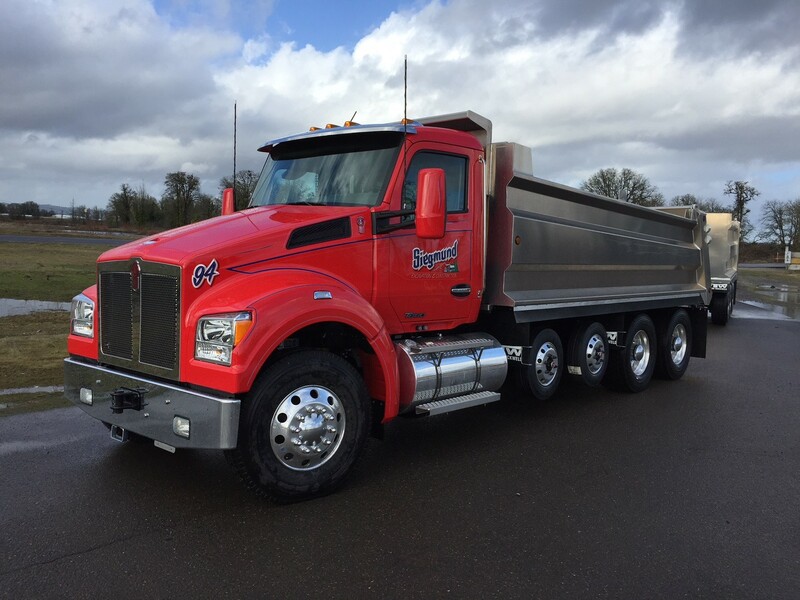 Updating and modernizing our fleet with the latest in heavy haul truck technology allows us to stay ahead of our competitors, keep costs down for our customers and provide our employees with the best tools they need to do the job.